While our Budgeted Missionaries are our top priority, we recognize that God may give you or your family a desire to adopt missionaries that are not currently being supported trough our current church budget. It is also our desire to support more missionaries trough our church budget than we currently are able to do so. So, we have established an extended list of missionaries that you may adopt from know as “Non-Budgeted” Missionaries. It is impossible for us to support everyone and could prove to be a financial challenge for our treasurer if we tried to support a large number of missionaries for a few dollars each. Plus, it is our goal to ensure that every Missionary, whether supported through the General Fund or through the “Faith Promise” challenge, are missionaries we, as a church want to support. Therefore, an “Approved” list of Missionaries that are not currently being supported through our church budget has been established. If the Lord lays any of these Missionaries on your heart, please feel free to “Adopt” them by filling out a “Faith Promise Card.” These Missionaries have been approved to receive “Faith Promise Funding”. Just because these Missionaries have been “approved” does not mean that they are guaranteed an financial support. The money these Missionaries receive is totally dependent on what is given by the individual or families who have adopted them. 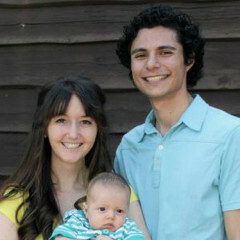 Example: Missionary “Jones” has two families in Kuna Baptist Church which chose to adopt him. They do so for a combined support of $75 per month, one for $25 per month and one for $50 per month. Should the family who chose to support Missionary “Jones” for $50 per month be unable to do so for any reason, Missionary “Jones” would only receive $25 for that month. No budgeted funds would be used to make up the “shortfall” and the family who was unable to give what they had purposed to give would not be contacted and asked “Where is your contribution”. If you have a Missionary you believe should be added to the “approved” list, please feel free to fill out a “Add-A-Missionary Request” form and turn it in to the church office. The request will be prayerfully considered and if accepted the Missionary will be added.